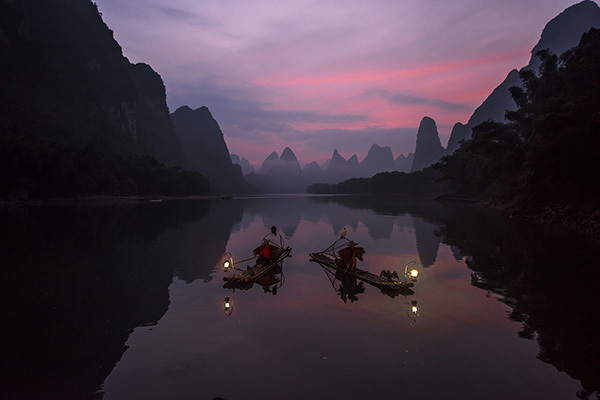 This one day photo tour allows you capture the most photogenic cormorant fishermen at sunrise, enjoying the scene of locals farming ducks in the stream, crossing the ancient stone bridge with buffalos, and the most spectacular landscapes at sunset. It is suitable for beginers, photo lovers and pros as well. Our photo tour is private, will be only you, your guide and your driver. Our tour starts at even 3:30am, finishes at 9pm, you will be with us for over 15 hours in one day, that's the 2 days itinerary of normal tour companies. You are going home with satisfying photographs. 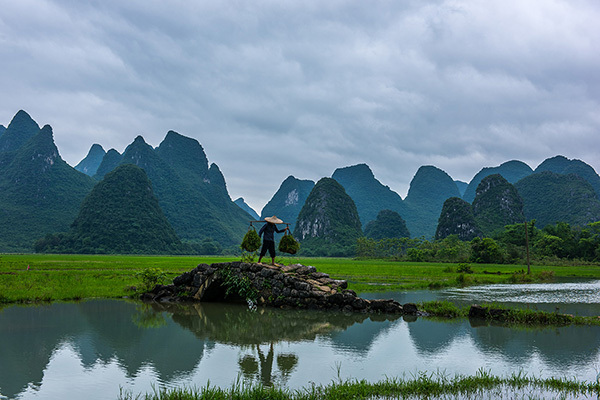 Your photo guide and driver will meet you at your hotel around 3:30am or 4, you are heading to a secret place at the Li River side, first drive 1 hour by countryside road, even drive into miles of unknown sandstone road. You will be a hidden platform after 10 minutes walking. We will make sure you will be the right location one hour before sunrise. 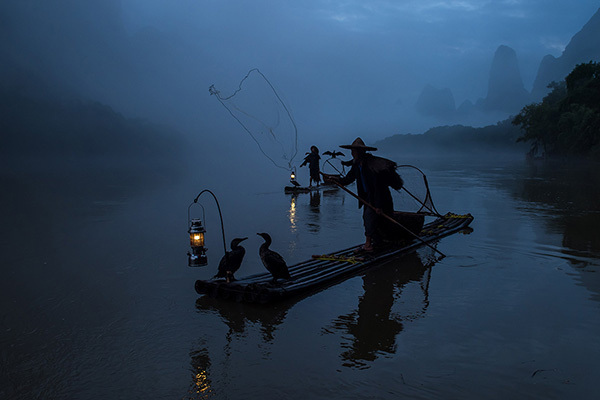 You will have enough time to capture the cormorant fishermen lighting the gas lamps, mountains and reflections in blue hour, and net casting over sunrise. Landscapes are not always in fixed spots, our photo guides will also bring you more photography oppotunities on the way to next stop. 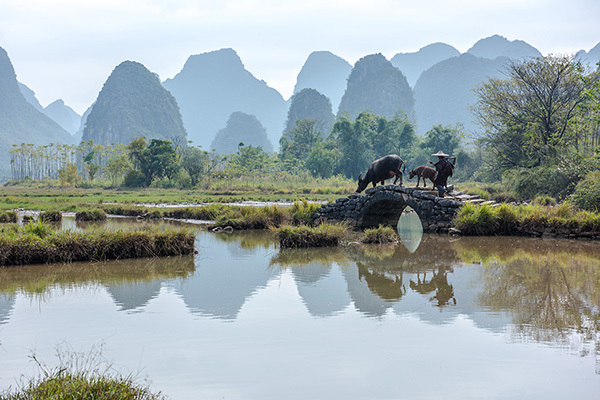 It could be some unique mountains, an interesting scene of locals in rice fields, a small waterfall, old men talking under a big tree, buffalos or ducks crossing a bridge, or enjoy a cup of coffee at quiet roadside, and more. After breakfast in a local rice noodle restaurant, you are driving to a peaceful village, which normal tourists won't reach even some locals' don't know where. Shoot the locals farming ducks and buffalos, capture the nice moment of farmers going home while a bundle holding fresh grass for their grassfishes. Take a relax walking in the village, find your interested pictures. Have lunch in a popular local restaurants, enjoy kinds of Chinese dishes - dumplings, fried noodles, steak, desert. 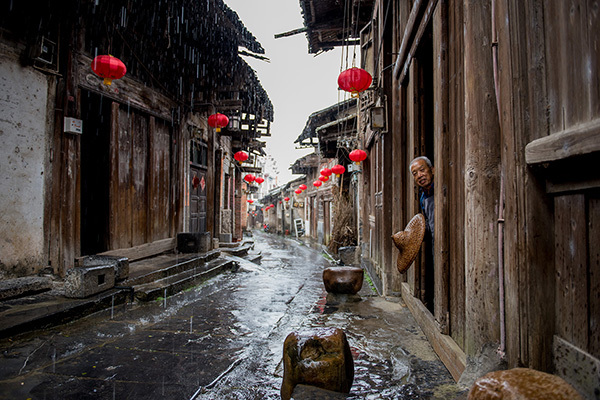 After a short break, then heading to an ancient town, take a relax walk on the old streets, and family visit to a local's house. 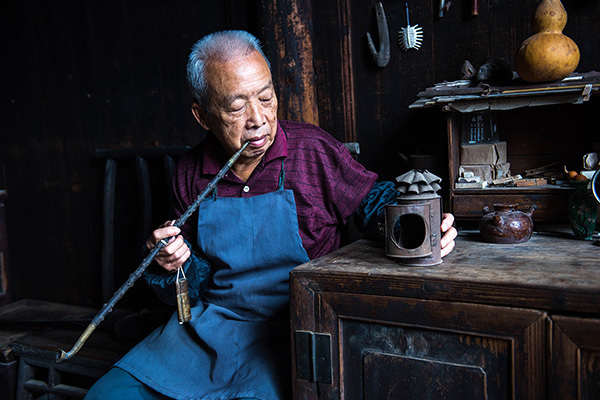 Shoot the photogenic portraits in his old wooden house with natural lights and sense of times. The tour will be finished by an amazing sunset photography. 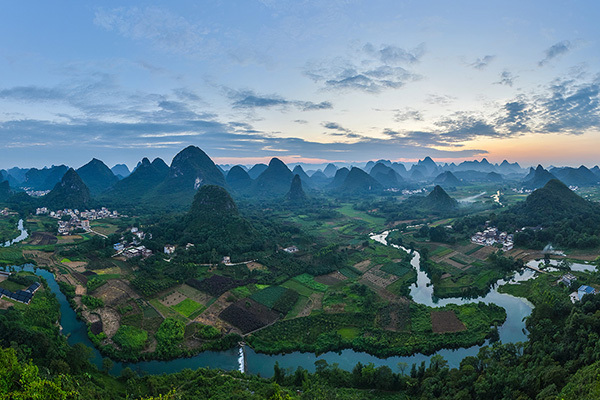 Walking up 600+ well stone steps to the mountain top, shoot the green village river with hundreds of mountain peaks as backdrop. 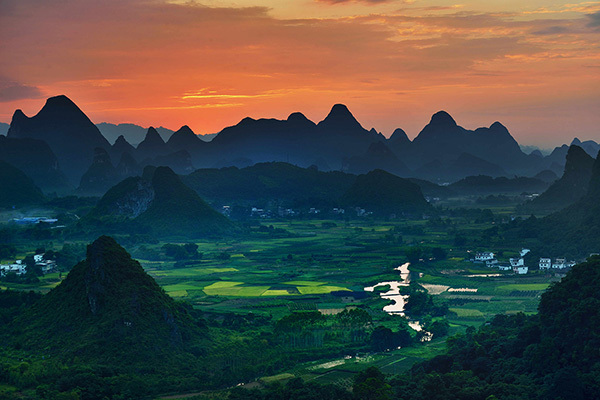 Capture the charming sunset color with marvelous mountain layers. We will walk down the mountain after blue hour. – A telephoto zoom lens, such as a 70-200 mm, good to shoot some subjects in a distance. We have no office staff - Mercier Zeng will answer you directly!